On ebay. Free delivery. Sizes available (XS only). Condition "New with tags"
"Superdry women's SDR Lite Pilot bomber jacket. Taking inspiration from classic airforce styling, the SDR Lite Pilot jacket is a lightweight bomber-style jacket with features including sleeve pockets, ribbed hem and cuffs. The jacket has a zip fastening and two popper fastening side pockets. Inside, the lightly padded SDR Lite Pilot bomber jacket has a classic diamond quilt pattern, single inner pocket and a Rookie by Superdry print. 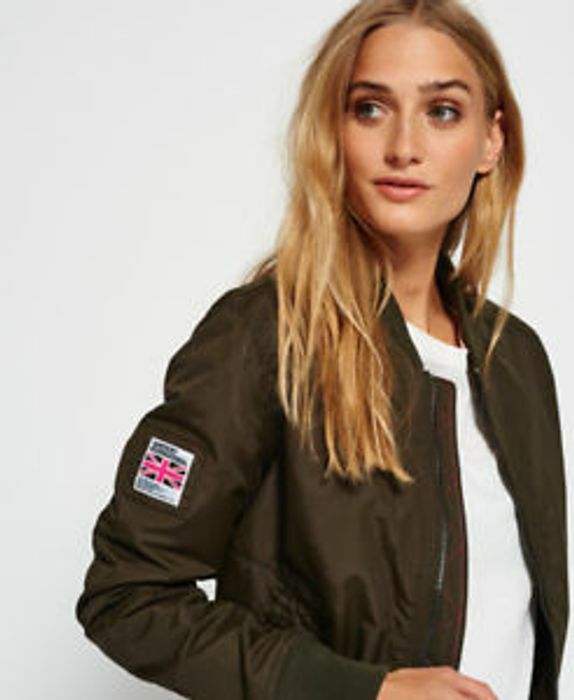 The jacket is finished with a Superdry International logo badge on the sleeve, embroidered Superdry logo on the shoulder and a logo tab on the front pocket."